PT Indra Karya (Persero) - PT IKA or known as Indra Karya is a long standing state-owned company in Indonesia that is involved in engineering consulting services. Established in 1972, PT Indra Karya (Persero) was formed as a continuation of PN Indra Karya. 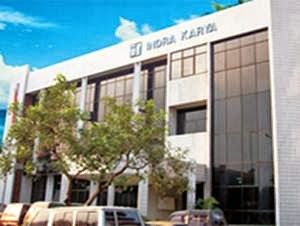 Indra Karya was first established as general construction company. Because the company continues to suffer losses, then in 1978 Indra Karya transformed into engineering consulting services company. As today, PT Indra Karya (Persero) has strong business competencies on engineering consulting services, including water resources development, electricity resources development, transportation infrastructure, survey and investigation, building, and environment. According to information found in Indra Karya's website as cited by JobsCDC.com, PT Indra Karya (Persero) is a non listed state-owned company and is 100% owned by the Government of Indonesia which represented by the Minister of State-Owned Enterprises (SOE). Based in Jakarta, Indra Karya's operations are divided into 3 regional operation areas; Regional I Malang, Regional II Semarang and Regional III Jakarta. Indra Karya also also supported by 2 division units; Survey and Investigation Division and Special and Investment Division. Minimum GPA of 3.00 for PTN and 3.25 for PTS. Honest, discipline and have high work motivation. Strong understanding about administration and accounting systems. Minimum 6 years of experience in the related field. Skilled in operating CAD Software (preferably in the field of irrigation structure). JobsCDC.com now available on android device. Download now on Google Play here. Please be aware of recruitment fraud. The entire stage of this selection process is free of charge. PT Indra Karya (Persero) - D3, S1 Operator, Staff, Manager Indra Karya March 2019 will never ask for fees or upfront payments for any purposes during the recruitment process such as transportation and accommodation.